Over the last two years, I have grown a Professional Learning Network that supports me, challenges me, and inspires me. I keep them in my pocket….literally via smartphone! The relationships I have established within my network have strengthened my ability to lead, my passion for what I do, and, most of all, my voice. Most of the people in my network I have never met face to face, but they have impacted my life beyond measure. They have led me to my one word choice for 2016, because they have given me a vision for teachers and kids in the upcoming year. Here comes the irony… are you ready? One Word…seems so simple, but if chosen thoughtfully, it can be life changing. 2013 was my first year to read the book One Word that Will Change Your Life, by Jon Gordon and Dan Britton. I read it on a Hawaii beach on Thanksgiving break, and again during the last week of 2013. New Year’s Eve, my word came to me…INSPIRE. I repeated the process in 2014 (minus the Hawaii beach)… FEARLESS. It is that time again…time for a new focus for a new year. I have struggled with narrowing down my word, partly because I have ignored the one that has repeatedly been in my face! After much reflection, looking in, and looking up, I am ready to look out and live my word. I am ready to empower those around me. Kids and teachers deserve it, and my goal is to create conditions where opportunities are available for all. Relationships are the key to empowering others, so I will focus on strengths of others and build on them. I love to “nudge”…there is so much power behind this! Know their strengths, plant a seed, give a nudge, and support their process down the road of empowerment. I look forward to living my word, and giving back to the people around me. We all need nudging, and we all need to be empowered. If educators do not feel empowered, how can they do what’s best for their students? Kids deserve confident, risk taking teachers who seek opportunities to grow and improve. Teachers deserve lead learners who will share leadership and decision making with them. 2016 is the year to EMPOWER. I’m ready! The following portion of this post was written by my friend, Karen. I am honored to have had her collaborate with me on this post. As an educator, and honestly well before that, I have had a fascination with the power of words. The sheer fact that words can impact your mood, your attitude and frankly, your life. This time last year I found myself researching and working on professional development for my team. During a December Twitter chat I was introduced to the One Word that Will Change Your Life book, by Jon Gordon and Dan Bratton. I was immediately intrigued, bought and read the book and knew THIS was what my team and I needed. I spent a great deal of time thinking, reflecting and looking for “the” word. Throughout the two weeks prior to the back to school gathering many words came to mind, but BELIEVE was the word that resonated and stuck. Fast forward to Christmas break 2015 and I am once again thinking… about my students, my team, my school, my community and yes, myself and “that” one word that will become my focus. The reflective process has brought me so much clarity and has helped with the search. As I thought about all the amazing experiences I have had this past year, I realized that most of the positive memories were focused on situations where I was able to empower my students and teachers to step up and out. I find great satisfaction in helping others see their greatness and explore their passions. Watching a teacher take a step of faith and go to a completely non-traditional classroom, experiencing a student using her “voice” to write a letter to me requesting cell phones be allowed during lunch (and this was NOT an assignment!) and supporting a math teacher as she began the transformation to media specialist. I am excited to embrace my word for 2016 …. EMPOWER. The journey to empower those around me to reach a little higher, to stretch themselves and others, and to live up to their full potential begins NOW!! What will be your focus be for 2016? How can you look in and up to zoom your lens into one word that will drive your actions for the upcoming year? The possibilities are endless. ONE word. Simple, yet the power behind it can move mountains. ONE word…which one is meant to be yours for the year? 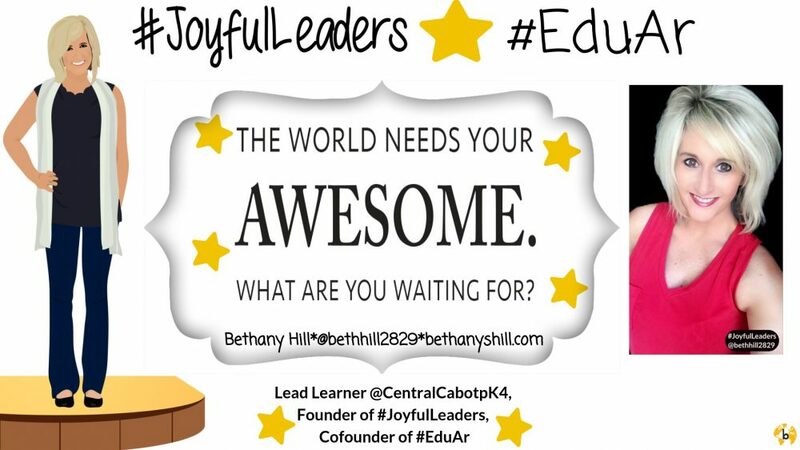 This entry was posted in education, Leadership, Reflection, Vision/Goals and tagged #oneword, Education, goals/vision, Healthy Balance, school culture. Bookmark the permalink. Bethany and Karen, thanks for sharing your words for the year. I love the concept. This past year I learned about Giving Keys (http://www.thegivingkeys.com/) and I purchased two for two of my family members. Each key is engraved with one word. The idea is that these symbols would inspire them to take on a personal challenge related to the word. The Giving Keys way is that when you’re done with the key, you pass it on to someone else who is in need. I was so happy when one of them passed it on to someone else over the holidays. I love the idea and am looking for a way to replicate it in our school community. I wish you the best in journey to “empower” others this year and hope that they, in turn, do the same. BTW – I’m not connected with the Giving Keys in any way. I just like their cause and social business model. How fantastic! Thank you for sharing this. I need to check it out! I think Karen did this for her staff this past year with their one word engraved on the key.